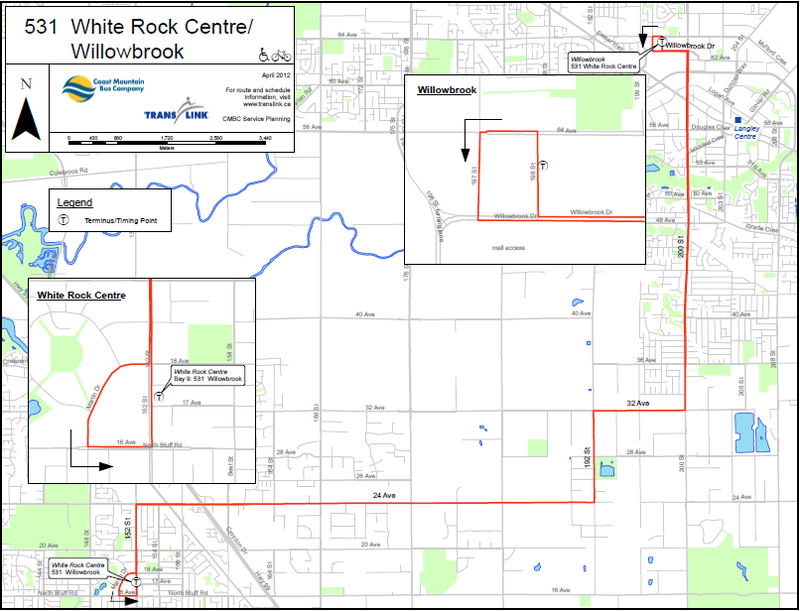 For awhile now, I've been looking forward to bus service that connects Langley and White Rock. As a resident of the City of Langley, it takes over an hour to get to White Rock today on bus because you must go via Surrey Central SkyTrain station practically while driving should take around 20 minutes. This new bus service, which will launch shortly, will run from around 6am to 9pm seven days a week. What I find interesting about this route is that it completely bypasses Downtown Langley and the Langley Centre Bus Exchange, but is based on an urban grid bus network pattern that was recommended in the South of the Fraser Area transit plan. Also, it will be interesting to see if they extend service later on Fridays and Saturdays as White Rock is one of those place people stay late at. 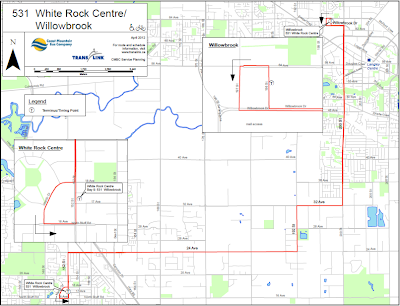 New Langley/White Rock Bus Route. Select image to enlarge. Thanks to @BusShots for the tip.